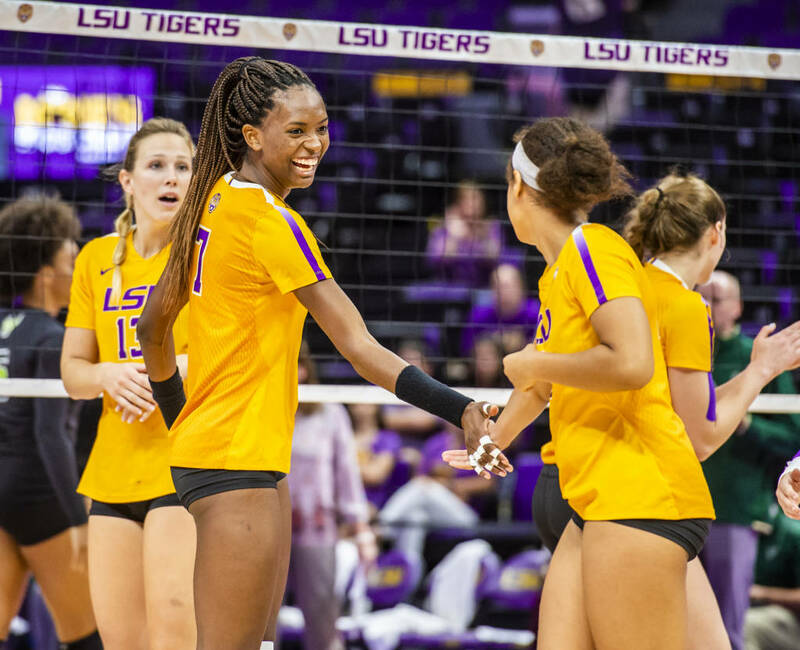 LSU senior middle blocker Olivia Beyer returned from an undisclosed injury on Saturday to help lead LSU to a 3-2 (25-27, 25-20, 25-23, 22-25, 19-17) victory over SMU. She had 12 kills and 6 errors on 31 shots in her first match in 2 weeks. She also contributed 3 block assists and 3 digs. Beyer sat out the team’s previous 4 matches, where the team went 2-2 with wins over Oakland and Abilene Christian and losses to Michigan and Colorado State. Beyer ranks 3rd on the team in kills/set this season (2.00) and has 24 blocks to boot. The other highlight of the Saturday-evening marathon was the performance of Taylor Bannister, who had 36 kills. That’s the second-most kills in program history in a 5-set match behind only the 37 that Gina Tillis put up at Georgia in 2015. SMU had 15 kills from Hannah Jacobs (.178 average).